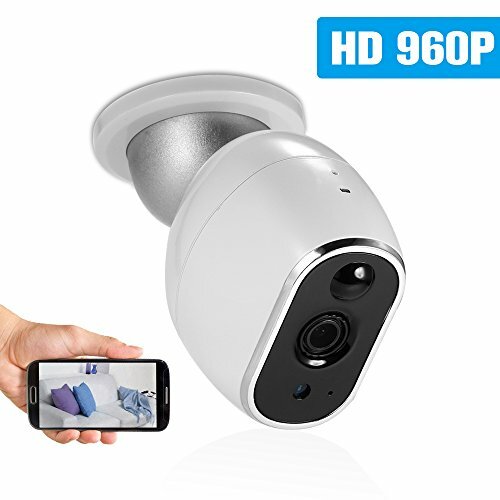 *H.264 1.3MP HD 960P infrared WiFi camera,deliver clear and sharp color video day and night. *1pcs high power infrared LED light.Dual IR-CUT filter with auto switch,restoring clear true color. (night vision distance up to 5m). *Support two-way audio transmit,with TF card slot,support 128G TF card max(not included). *Motion detection function. The camera will be triggered to record and push notification when detects something moving. *Built-in MIC and speakers,two way audio monitoring. *Remote monitoring:You can check your home condition remotely via smart phone or tablet only if there is Internet connection,no matter where you are. *Plug-and-play design,easy to install,giving you clear view of monitoring your baby,pets,elder,home or office. If you have any questions about this product by OWSOO, contact us by completing and submitting the form below. If you are looking for a specif part number, please include it with your message.